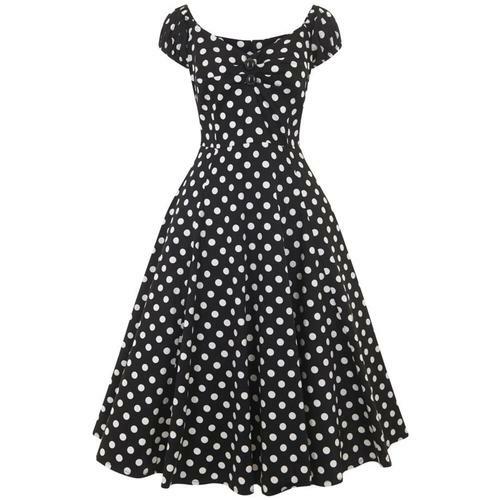 Collectif's classic Dolores retro 50s Doll Dress back for winter in this fab fifties vintage Atomic Cats print. 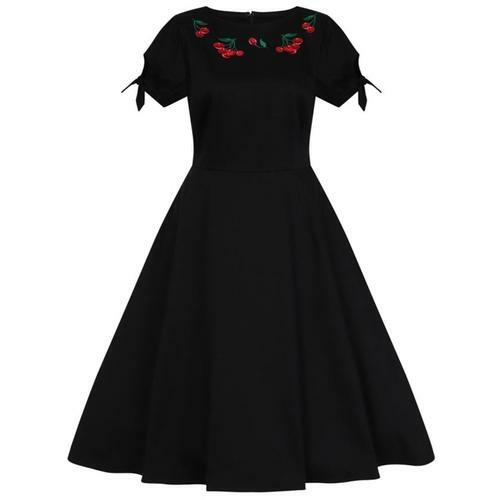 Can be worn on or off the shoulder. Fitted bodice with a full circle skirt. Pair with the matching Lucy Atomic Cats cardigan for a retro look! 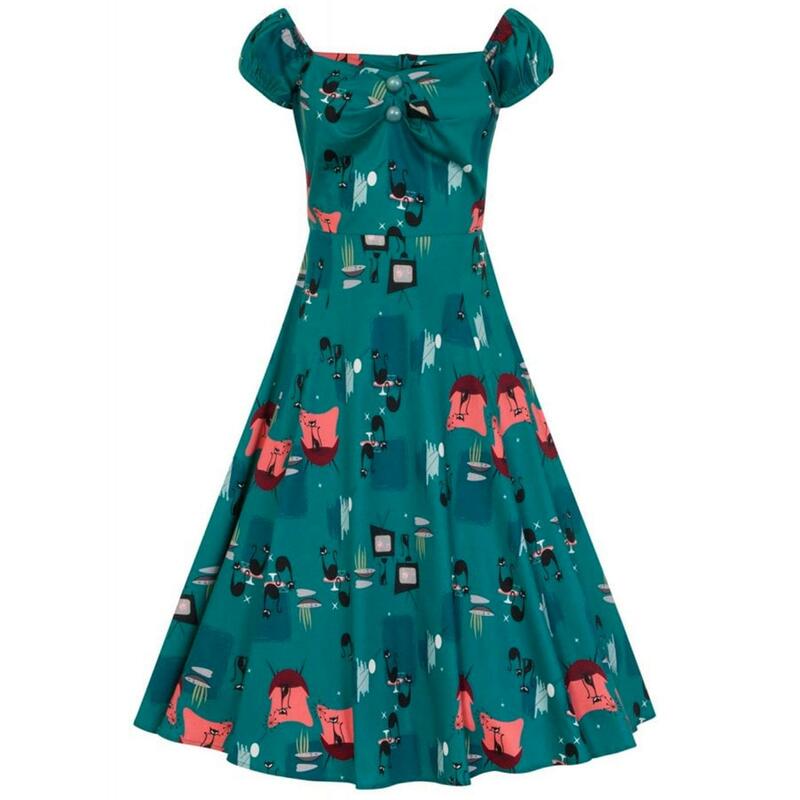 Delores Atomic Cats doll dress in green by Collectif. 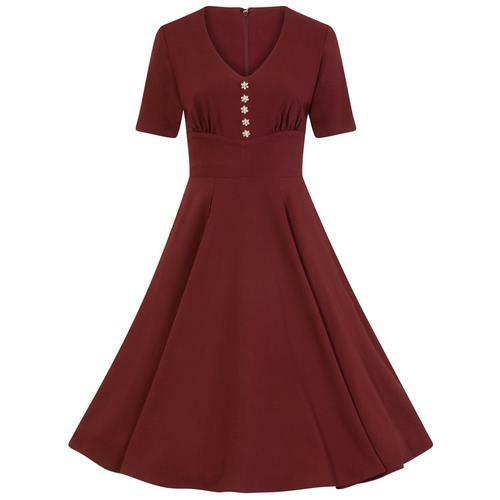 Sweetheart neckline with pleating at bust and rounded buttons. Puff elasticated sleeves that can be worn on or off the shoulders depending on your look. Purrrrfect kitty print - black cats on vintage style furniture. Fastens at the back with zip.